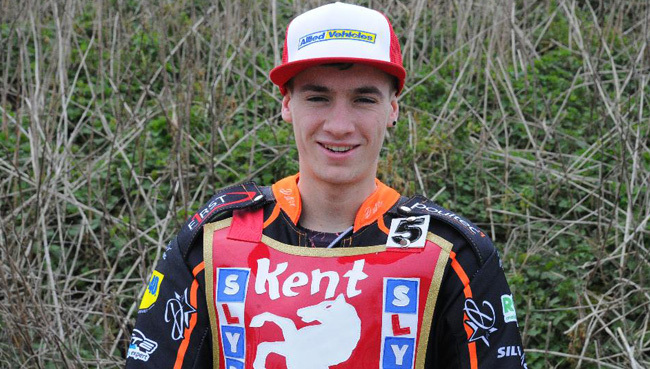 Kent's Nathan Stoneman and about to be installed as new number one, skipper Jack Thomas took the club's colours into action at the National League Riders' Championship at Leicester on Sunday (30/9). Starting proceedings relatively slowly certainly put the two in the back foot on a very bumpy Beaumont Park surface (which led to a fall for Nathan in his opening ride) but Thomas recovered to take two heat wins and a second in his last three rides to reach double figures. Jack's 10 points tally saw him finish 4th. overall - a brilliant showing on his NLRC debut. Stoneman managed a race win in his final race (ironically over his Kings' team mate) and finished on a pretty satisfying six points. 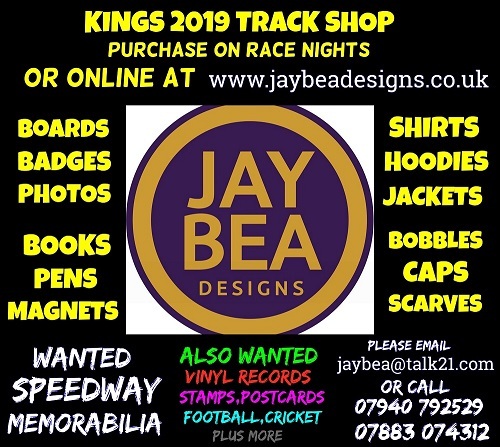 Elsewhere the three main protagonists were the home rider (Coventry being based at Leicester) Connor Mountain and the Isle of Wight pairing of Alfie Bowtell & Ben Morley. Mountain looked like he was going to reach the summit after four wins from his first foe rides (including being the only rider to lower Morley's colours) but a costly third behind Bowtell and the redoubtable pugilist that is Mark Baseby in heat 20 meant his chances were gone. Instead it was a Warriors' one-two confirmed with Bowtell falling in the run off for the title meaning a second NLRC title in four seasons for the former Kent man and still a huge Central Park fasvourite, Ben Morley. Drew Kemp from league leaders Mildenhall had entered the meeting as many experts favourite to become the youngest ever winner but unfortunately roughed up by events at Eastbourne just a few short hours earlier seemed to take its toll on the 16-year-old who bowed out after a fall, pointless from two completed rides.